The morning was bright . The weather is nice, but at the same time I am a bit scared . 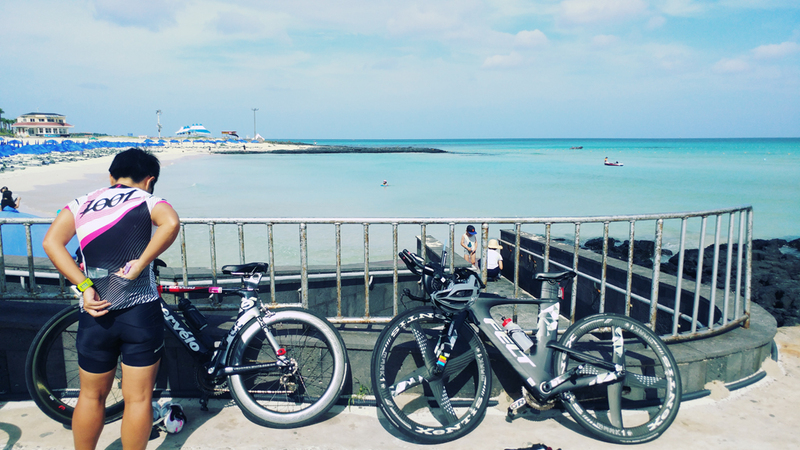 It is because the riders feel very tired in the very hot weather, which is also a fight against thirst . 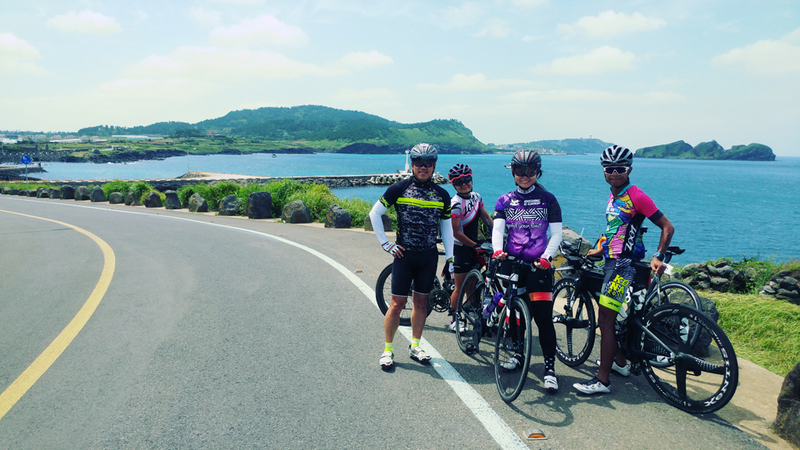 Today's riding course is about 125km from Hanrim-eup to Seokseon beach. 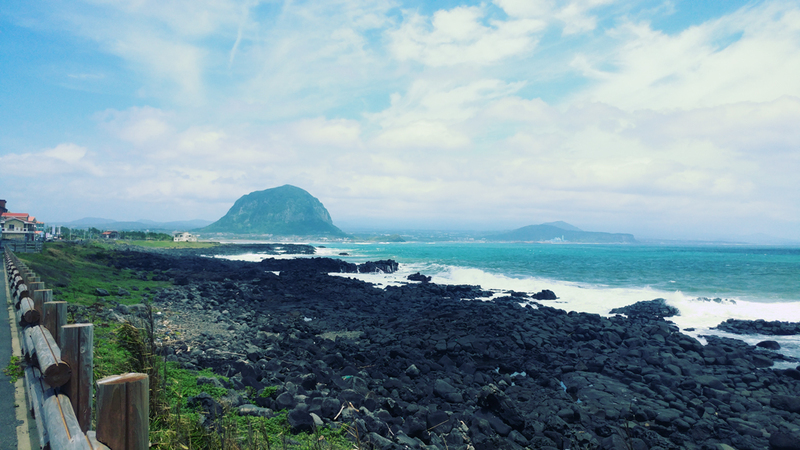 It is a course that explores the scenery of the west and southern beaches of Jeju-do. 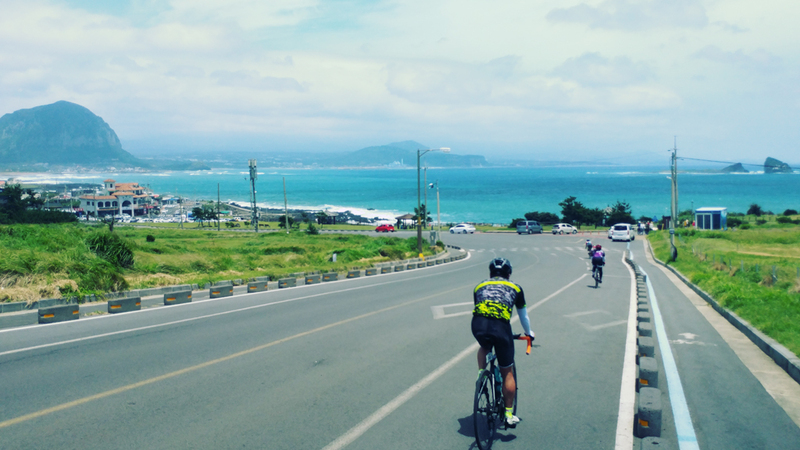 It is a course with the view of Chugu-do Pugu beach road which is the personally favorite scenery and Songak- I like the coastal scenery the most among Jeju Island cycle road course . 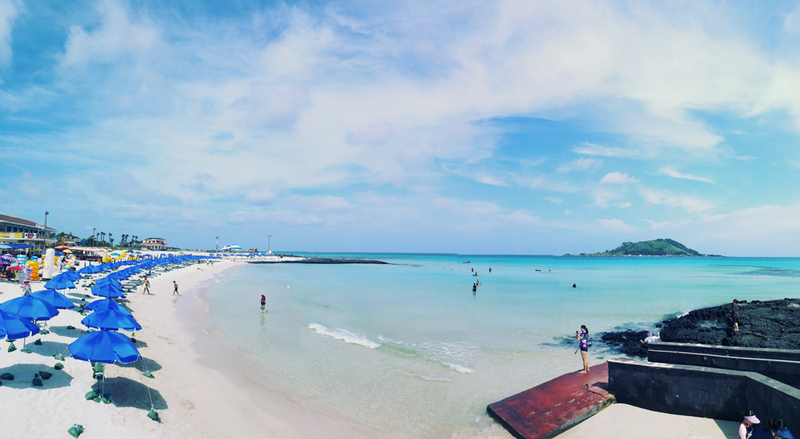 As soon as I got out of the hotel, I was able to meet the beach . 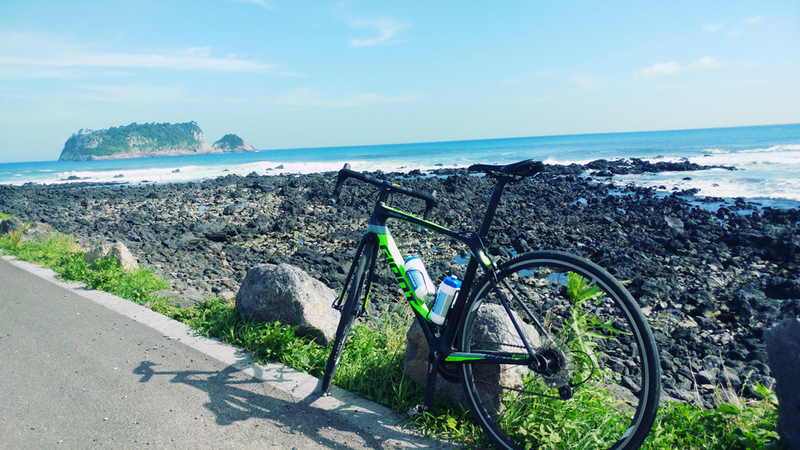 At first, it was just the most famous and most famous place for bathing in Jeju Island, so I decided to show the sea color . 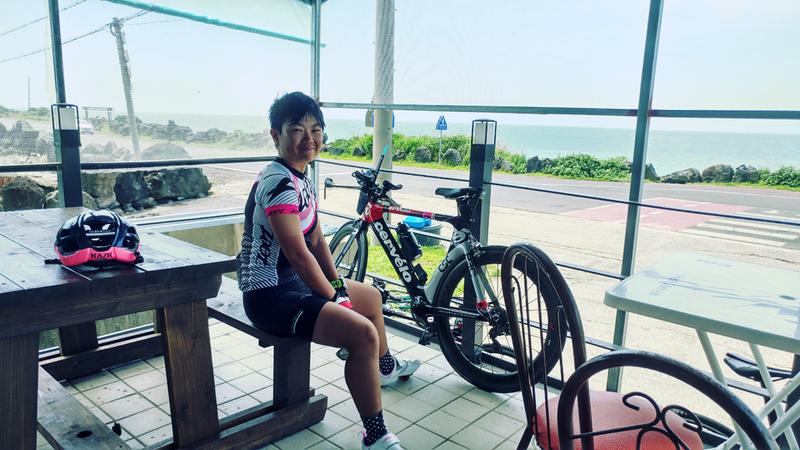 However, when I looked at the scenery and sea color of the beach, I started to bike and suddenly started to take off my shoes and tops . 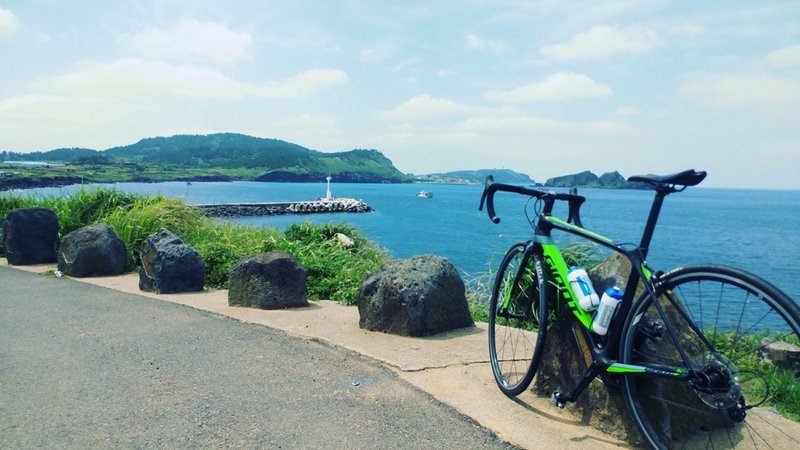 It was so clear and green that the color of the sea was the same as that of Southeast Asia . 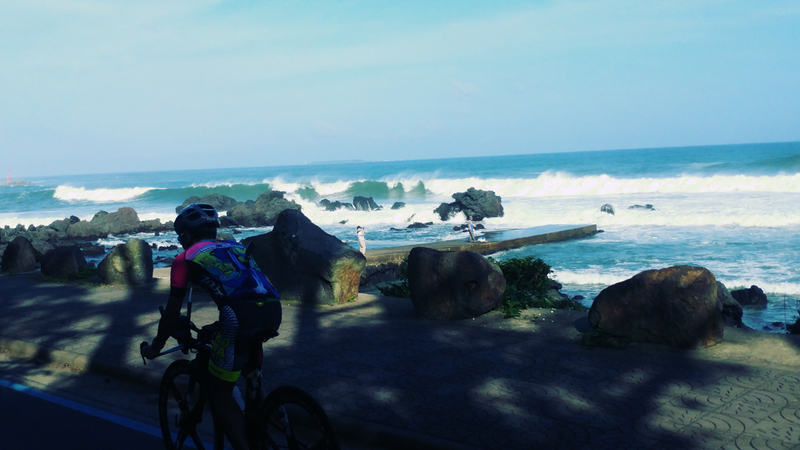 Perhaps I would have jumped into the sea if I had been the only person to watch my bikes . The scenery at the entrance to the village of Pogu Village is like a beautiful fishing village in Europe . 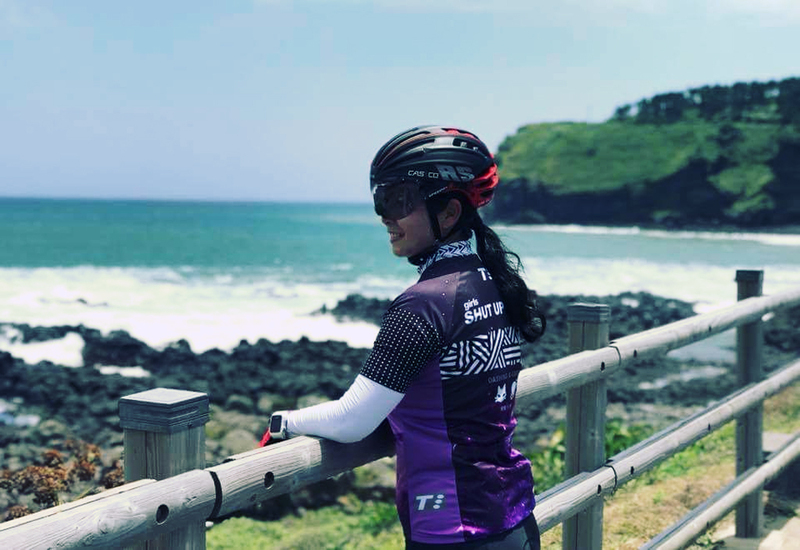 The colorful buildings and dome-shaped roofs of the pensions and cafés from the distance give the riders a glimpse of a place in the Mediterranean, The feeling of looking at the scenery is also good . I decided to take a break at a convenience store on the coastal road going from the sea shore to Mosulpo port . 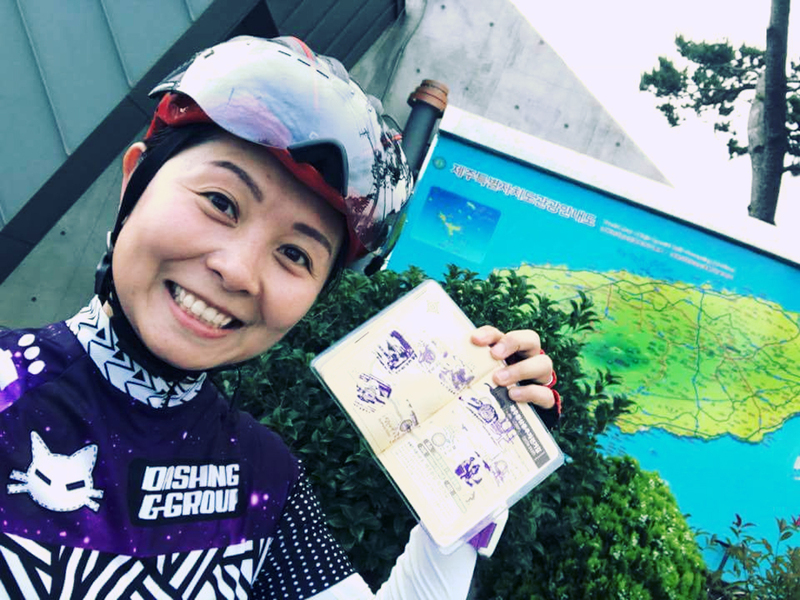 In fact , I took the first place for four seasons, but the weather was much warmer than I thought , and the strong south wind was blowing up to the riders, so it was not easy and it was hard . 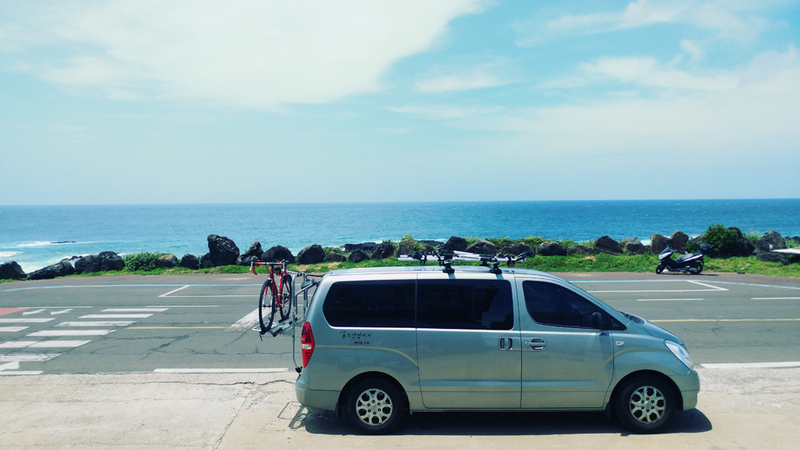 So I stopped by the convenience store by President and President and drink water to replenish sugar , Jeju Island Convenience stores are all at least ocean view (ocean view) seem to have much , give a pretty seaside landscape presented to travelers in the moment while eating a snack at the convenience store . 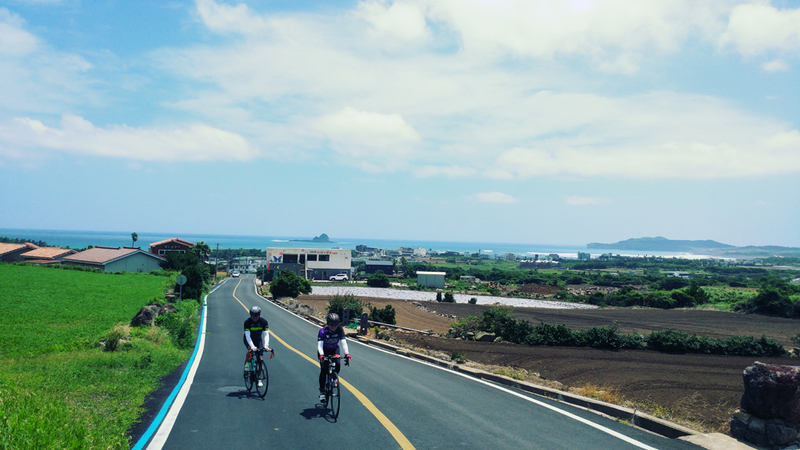 After a short hike up through Mossuo Port and Hamo Beach, the bicycle pedal will be paused at Mount Sanbang and coastal scenery, which is seen between Dong Alom and Songak Mountain . After passing through the four seasons, you can see Mt. Sanbang, which looks like a huge wall in front of you. 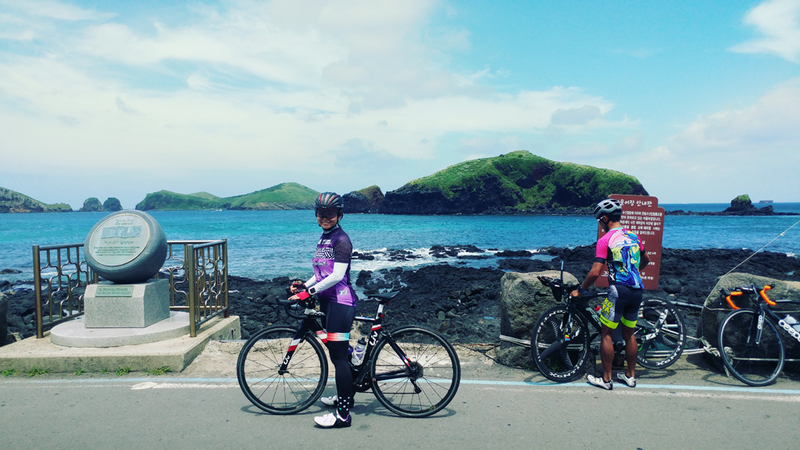 You can go to the bike path next to the road around the coast for a while. After passing the Love and Castle Museum, you will soon meet the Jungmun Tourist Complex. And took a rest like honey . This was also one of the food that Hong Kong riders were so eager to eat . 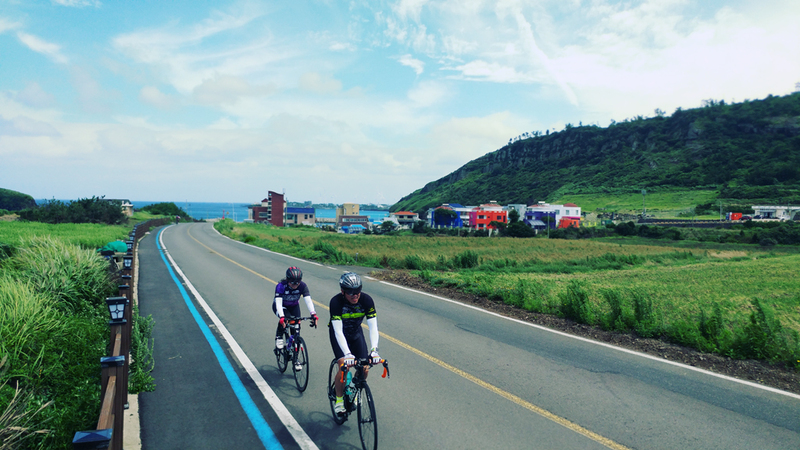 After lunch, we run through the southern coastal road of Jeju Island, passing through the village of Gangjeong, which was recently disturbed by the naval base construction problem, and passing through several quieter, peaceful villages . It is famous because it is a place where the river flowing from Mt. Halla meets the sea directly to the sea and the clear water of the water is crystal clear like transparent glass . 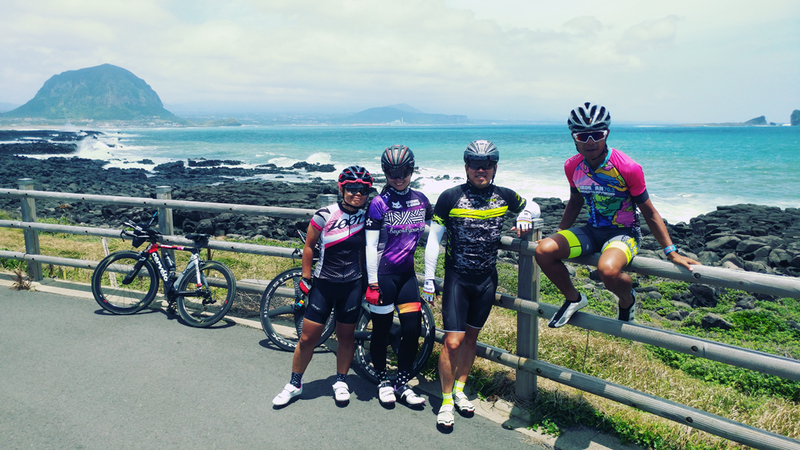 After passing through the tiny cedar, we had a very good bike run along the coast, so our party started to accelerate and run . 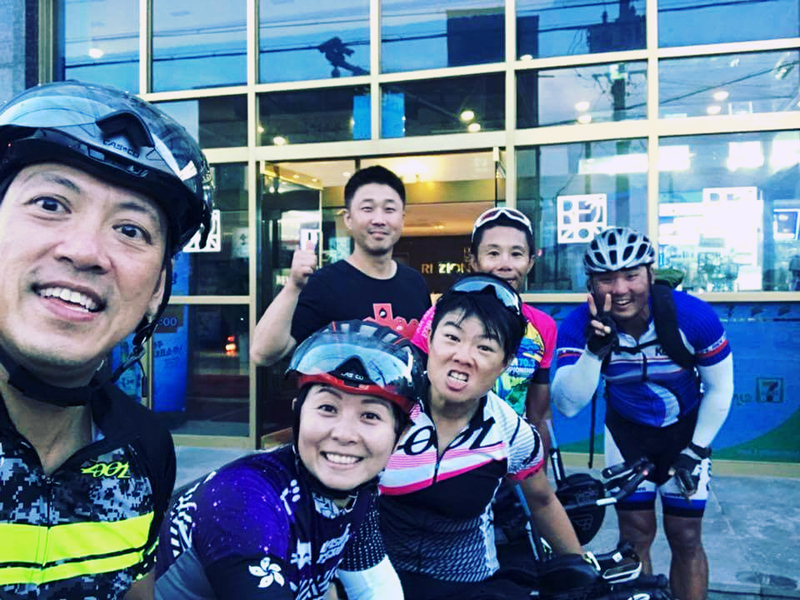 Because it is like a bicycle length road, I feel attached to the tire of the road cycle, and the road is wide and there is almost no traffic, so we all enjoy speed and speed . 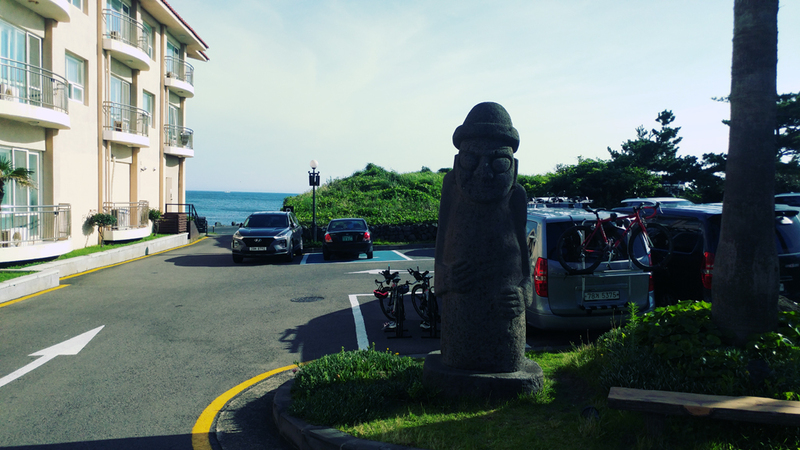 As I ran along the coastal road without any reason, I passed the Haevichi Hotel and reached the Seongseon Beach . 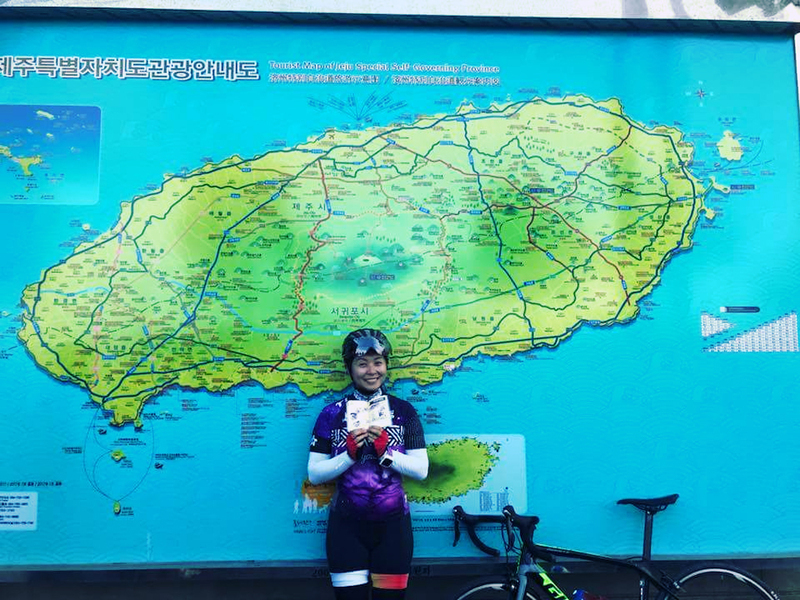 We got off the coast road and turned the wheel toward the front office to check in to the hotel that we made reservation in advance, and we unloaded all the luggage from the support vehicle . The smile does not leave the faces of all the members . Everyone was very pleased with the trip for two days . Everyone took a group photo, checked in, dressed up and moved to a dinner place . 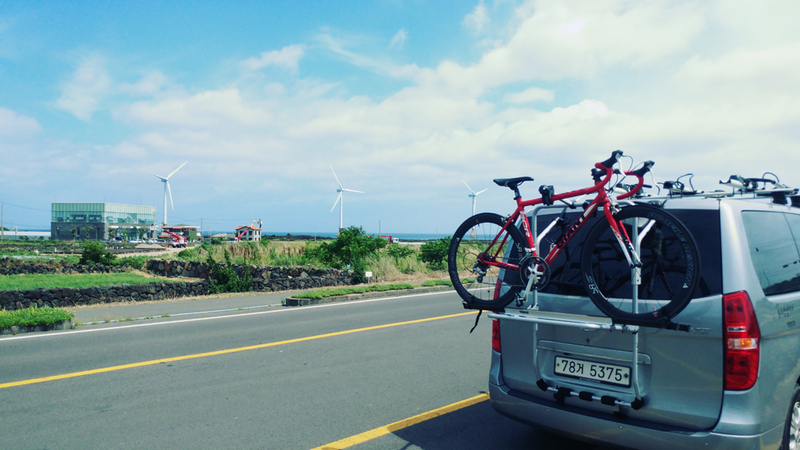 The farewell farewell to the last support vehicle for dinner and the next morning a 1 ton truck and a call van were called to Jeju airport . The pre-packaged bicycle was put in a bicycle carrier and moved with the truck. 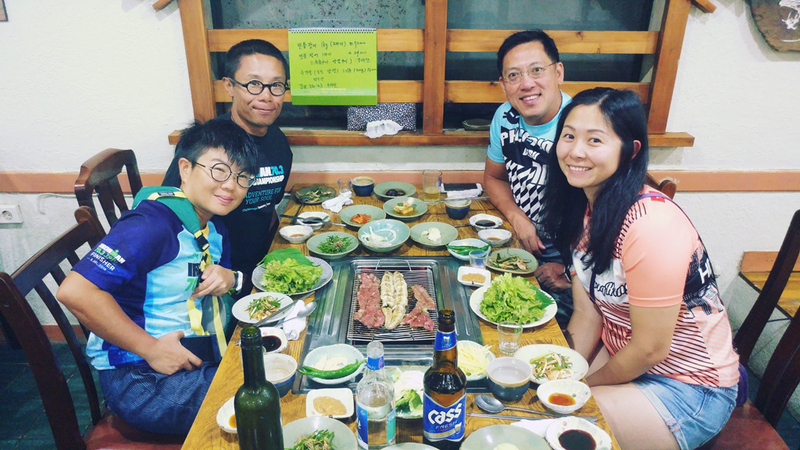 We got on the call van and heard from the Samgye tang house where the Hong Kong riders wanted to eat for the last time. 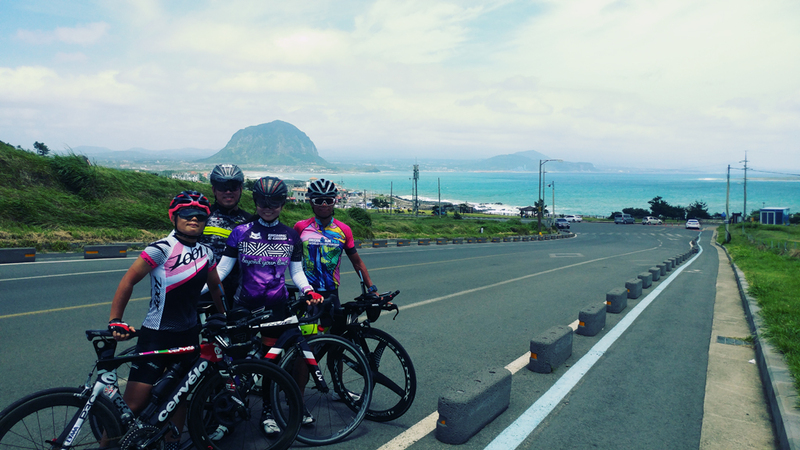 They ate breakfast and lunch and moved to Jeju airport . It is always a bad law to parting . But if you think about meeting again with a new adventure, it is not always a good thing to say goodbye .